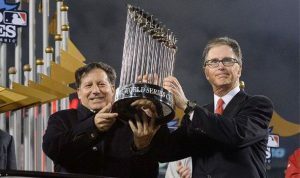 Like John W. Henry did at the Boston Red Sox, professional sport must reconnect with their communities. The case for cricket to re-connect with its communities has never been stronger than now. Three major international events at the end of last month prove this point. In 2016 unheralded Leicester City scripted one of the Cinderella stories of sport by overcoming odds of 5,000 to 1 to be crowned English Premier League champions. The success was built on the investment of Vichai Srivaddhanaprabha, the Thai billionaire of the King Power business empire, who took over ownership of the club in 2010. Unfortunately this relationship came to a tragic end on 28 October when Srivaddhanaprabha was killed in a helicopter crash after attending a Leicester City game. A torrent of grief followed the news, as well as astonishing stories of Srivaddhanaprabha’s kindness towards the fans, gestures that showed he cared for the citizens of Leicester and big donations he made to local charities and hospitals that went unreported. Cynics might say it was still business and not entirely philanthropic. Still, Srivaddhanaprabha appreciated the nature of the business opportunity – that his interests were best served by serving Leicester City rather than milking it. He made a respectful commitment to the community of Leicester. Leicester City would not have won the Premier League were it not for Srivaddhanaprabha. Also on 28 October but on a more positive note, the Major League Baseball side the Boston Red Sox clinched their fourth World Series crown in the last 16 years. The Red Sox were baseball’s perennial under-achievers, but in 2002 hedge fund billionaire John W. Henry became owner and things have never been the same. Henry provides a different angle on the sport and community theme. He grew up on a farm and knows the one similarity between farming and sport: It can be feast or famine. The only way to make sure you have more feasts than famines is to back yourself to the hilt (Henry is the man who put the philosophies of the movie “Moneyball” into action) and be in it for the long haul. Henry crucially understood the connection between perseverance and the community; he knew the Red Sox wouldn’t have sustainable success if they didn’t have the backing of Boston. Extraordinary stories abound of how Henry and his team have rekindled the relationship between the Red Sox and Bostonians. The bond is stronger than it’s ever been in the 117 year history of the team. A day later on the other side of the globe, Cricket Australia released the review of its culture and governance commissioned after the ball-tampering scandal in South Africa. One of the conclusions of the 147-page review is that the ball-tampering incident should not be seen as an aberration of the failure of a handful of players, but the culmination of a long-term, systemic failure on the part of Cricket Australia (CA) to nurture a culture of respect for the country, its people, their opponents and ultimately cricket itself. A lot has been written recently in these columns about the lost connection between cricket in this country and the community. If Leicester City, the Boston Red Sox and CA teach us anything, it is that Cricket South Africa needs to restore the relationships between its first-class teams and the communities they have ultimately served for decades. It will also create a solid foundation for a sounder relationship between the Proteas and the larger South African community, and make cricket more attractive for investors.